Los Angeles County Supervisor Don Knabe issued a statement following the National Telecommunications & Information Administration (NTIA) announcement that it would be halting funding of the Los Angeles Regional Interoperable Communications System (LA-RICS) and giving LA-RICS until April 13 to submit an amended project plan that is acceptable to the Los Angeles County Board of Supervisors, the Los Angeles City Council and NTIA. LOS ANGELES, January 6, 2015 — The Los Angeles County Board of Supervisors approved a motion introduced by Supervisor Don Knabe to establish a $25,000 reward for information leading to the arrest and conviction of the person(s) involved in the death of Eliza Delacruz. On Saturday, January 3, 2015, at approximately 5:50p.m., the father, mother and uncle of 3-week-old Eliza Delacruz were shot while in their home in the 100 block of W. 51st Street in Long Beach, by a male suspect who entered the home. Eliza was abducted by the suspect, and subsequently found deceased the following day in a trash dumpster in San Diego County. Detectives have few leads in the case and believe a reward will prompt reluctant witnesses to come forward. They can remain anonymous. Twenty-four confirmed Maternity Hotels were cited in Los Angeles County, but overall, new complaints from the public about suspected birthing centers have decreased significantly, according to a new quarterly report released last week by the Chief Executive Office of Los Angeles County. In total, the multi-agency taskforce, consisting of various County departments including Regional Planning and Sheriff’s, as well as Mandarin and Cantonese translators, has inspected 82 locations throughout the County and was able to gain access to 70 properties suspected of operating maternity hotels. Numerous violations were found at these locations including unsafe health conditions, unpermitted room conversions, and properties operating as boarding homes without proper licensing. In the last three months, only three new complaints about suspected maternity hotels were logged. “The inspections conducted by the taskforce have proven to be a successful deterrent to new maternity hotels setting up in our neighborhoods and communities,” said Supervisor Don Knabe, whose motion created the taskforce and called for an ordinance to regulate maternity hotels in Los Angeles County. A proposed ordinance to regulate maternity hotels was not recommended at this time because the Department of Regional Planning is still conducting inspections. The Department can still issue notices of violation where maternity hotels are operating illegally because under current County codes, boarding houses are not allowed in a single-family residential zones with more than five persons unrelated to the operator. At the Tuesday, January 29th Board of Supervisors meeting, Los Angeles County Supervisor Don Knabe will call for more rigorous zoning restrictions to combat the rise in maternity hotels in LA County, particularly in the San Gabriel Valley. 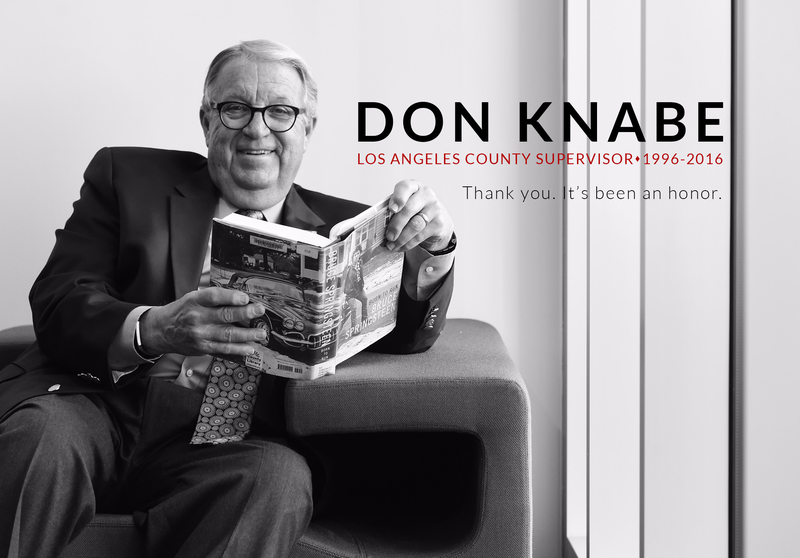 In response to the January 14, 2013 Status Report on Knabe’s Board Motion Regarding Postpartum Recovery Homes, he will ask for the Board’s support to direct County Counsel to draft a proposed ordinance to regulate these boarding houses, while also calling for the CEO to lead multi-agency inspection teams. He will also request funding to assist the inspectors with additional staff and Mandarin/Cantonese translators to communicate with occupants. “These maternity hotels have grown beyond the scope of a zoning issue. The conditions inside some of these houses are putting the lives of the mothers and babies at risk and we must do what we can to protect them and stop this illegal activity,” said Knabe. “The County of Los Angeles Fire Department has not issued this statement nor do we believe the statements within the e-mail to be factual,” says Battalion Chief Jon O’Brien. Residents within the County seeking information on the potential impact from the release at the Fukushima Nuclear Plant are advised to obtain their information from a reputable agency. Additionally, individuals are reminded to use caution when viewing e-mails and to always verify the source of information. For information relating to the potential impact on Los Angeles County, please visit the County of Los Angeles Department of Public Health. The Los Angeles County Board of Supervisors today selected Deputy Fire chief Daryl Osby as the County’s new Fire Chief, succeeding P. Michael Freeman. Chief Osby has moved through the ranks of the Los Angeles County Fire Department, since joining in 1984, most recently serving as Chief Deputy in charge of Business Operations. The Board of Supervisors today approved 10 recommendations to enhance safety for attendees at electronic music festivals, also known as raves. The motion, co-authored by Supervisors Don Knabe and Zev Yaroslavsky, was in response to a report from the Department of Public Health (DPH), which has been collaborating with public and private entities to improve security at these events. In July 2010, the Board approved a motion by Supervisors Knabe and Yaroslavsky to establish a task force to develop procedures to increase safety measures at raves, following the death of a 15 year-old girl who was attending the annual Electric Daisy Carnival last summer. The DPH, in cooperation with the Department of Health Services, the Los Angeles Police Department, the Los Angeles Fire Department, the Los Angeles Sheriff’s Department, the Coliseum Commission and event promoters, recently submitted a report with proposals to enhance law enforcement activities and health precautions for these popular events. The task force’s recommendations included broadening multi-agency planning, imposing an 18-year minimum age requirement for all attendees, enforcing strict alcohol policies, coordinating emergency medical services, and establishing public education programs on the dangers of illicit drug use, in particular, Ecstasy.